Everyone’s moving with the times and getting a tablet, and your toddlers are no exception! Here we take a look at three of the most popular choices for children aged 3 and up. The Kurio 7 is a great choice for families due to its extensive parental control options, which include kid-safe internet surfing. Parents can control how long their child uses the tablet and which apps are downloaded. 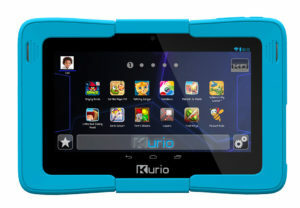 The Kurio 7 comes with lots of pre-loaded material and has easy access to the Kurio store. The tablet has a high functioning touch-screen and front and back cameras. 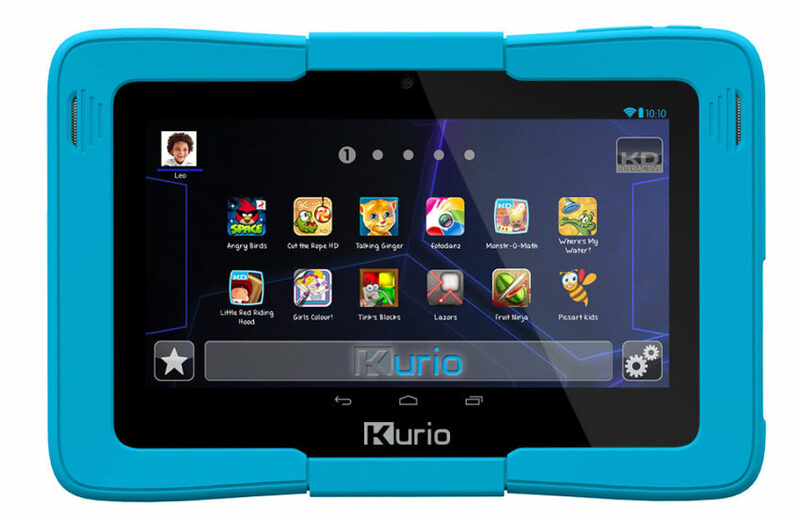 Reviewers on Amazon gave the Kurio 7 a measly 2.6 out of 5 stars and the comments corroborated this rating: many people found that the tablet was slow, not very durable and with limited access to apps and games. Some reviewers also felt that the material was not child-friendly. Positive comments included praise for the extensive parental controls and the responsive touch-screen. The Vtech Innotab 2 is a durable, multi-functional tablet, with a 5″ screen and 2GB of on-board memory. It includes free apps and games, with many more available for purchase from Vtech online. Most people reviewing found that the Innotab 2 was easy to use (even for small children), was light-weight (so easy for children to hold), and that the content was educational. Negative comments included the price and that additional apps were costly. The short battery life was frequently mentioned. This was given an overall 4.1 out of 5 stars by Amazon reviewers. With 4GB of memory and with access to over 225 apps means hours of fun! Interactive play is controlled with an in-built microphone, using your finger or stylus. The LeapFrog LeapPad 2 is educational and helps practice skills such as maths, art and music, with parents able to connect to the LeapPad to keep track of their child’s progress. Reviews for the LeapFrog LeapPad 2 were mixed: many agreed that the content was educational and that there was an extensive library of games and apps. However, many also agreed that the apps were expensive to purchase. Most commented that the battery life was short, but that the tablet was sturdy and good for small hands. Amazon reviewers awarded this 4 out of 5 stars. Fast forward to 2017 and you’ll see a new technological innovation sweeping the educational landscape. The tablet. These new personal computing devices herald a new era, one dubbed the “Post PC era”. Wander into a school or stop and watch a toddler or child today and you’ll notice they have no use for a laptop or desktop. Instead, their first interaction with technology is a smartphone or tablet. The reason for this seismic shift is simple. Ease of use. Today’s top tablets for kids are equal parts durable, engaging, dead simple to use, and lots of fun. The simplicity of the form factor is the top reason tablets are so great for kids. On most, there are only one or two buttons and the rest is a touchable interface that is extremely intuitive. No need for a confusing keyboard or mouse that makes a traditional PC clunky to use. Instead, simply touch the screen and your command is instantly recognized. Additionally, development of apps (apps are simply applications or programs) are fairly easy to create and an entire industry of developers have sprung up around the various competing platforms of iOS, Android, and Windows. Additionally, the versatility of a tablet screen makes the apps that can be developed far more interesting than a traditional PC. It could be an interactive book, that incorporates video or decisions from a child to continue the story, or a more traditional game that encourages language development or math and science skills. While these aims can be accomplished on a PC, the portable nature of a tablet makes them much more versatile. An interactive bed time story app is great on a tablet, not so much on a desktop. If you’re planning on purchasing technology for your child for both education and pleasure, look no further than the great tablets available for kids!